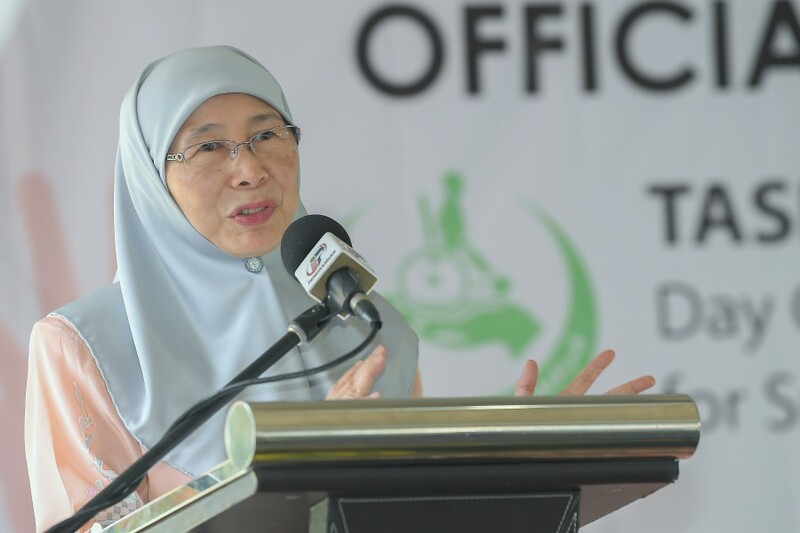 KUALA LUMPUR: Deputy Prime Minister Datuk Seri Dr Wan Azizah Wan Ismail said today the government only promotes its own products but not private products. “We do not promote products of the private sector. We promote products of the ministry. Indeed, we support the promotion of our ministry and government products. “YB Syed Saddiq (Syed Abdul Rahman, Minister of Youth and Sports) has said he wants to help. We also want to help. For example, if I go abroad, I bring along Malaysian handicraft … that is promoting our country as a whole,” she told reporters after launching Tasputra Perkim, a daycare and training centre for children with disabilities, here. Dr Wan Azizah was asked to comment on the government position with regard to ministers promoting certain products.